A Taste of Adventure – Zucconi Idea Agency, Inc. 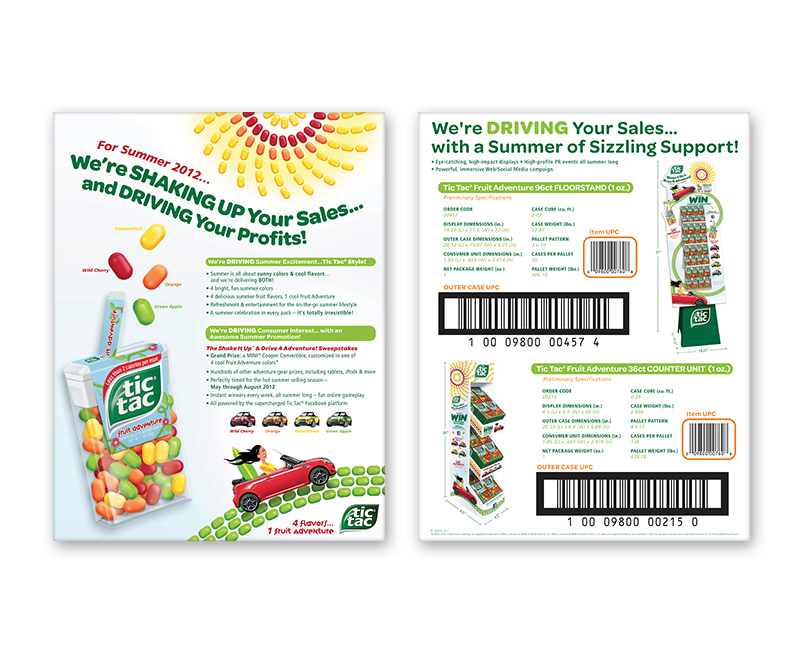 The Tic Tac® brand asked us to build a summer promotion around its upcoming limited-edition offering: the Fruit Adventure four-color, four-flavor blend. We took that notion and ran with it, delivering a promotion solidly grounded in the product news itself. To start with, we drew our color palette from the mint colors – bright, summery and cool. But that was just the beginning. We developed a successful Facebook® sweepstakes, inviting consumers to "Drive for Adventure." The grand prize: a MINI® Cooper convertible, customized in one of the four candy "flavors." Why a MINI®? 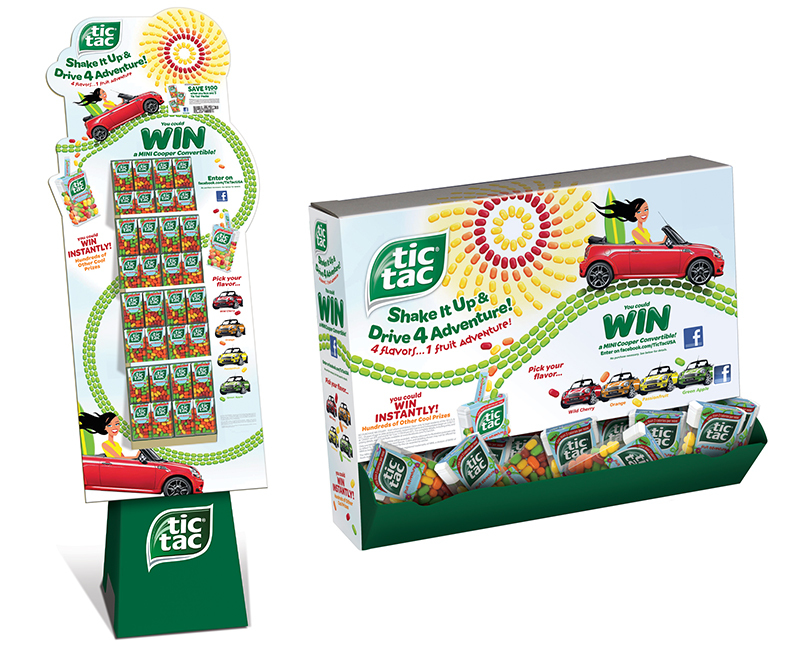 Because the MINI® brand aligns so well with the Tic Tac® brand ethic, from its fun-loving personality to the rounded-oblong profile of the car...sort of like a Tic Tac® mint with four wheels. Even the online gameplay was integrated with the product: consumers had to "shake" four mints out of a virtual Tic Tac® package to see if they were instant winners. 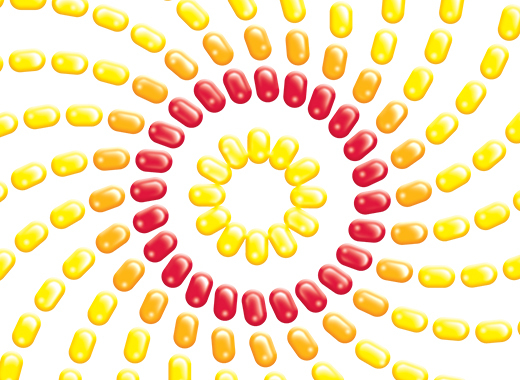 We chose a bright, poppy illustrative style, even using Tic Tac® mints like mosaic tiles to build the imagery. And then we extended that engaging look across dozens of communication vehicles...literally. Because along with the traffic-driving retail displays and Facebook-app visuals, we added some extra event-marketing buzz by wrapping a MINI® in promotional graphics. The results? Sales were up 55% versus the previous year. Consumer engagement was off the charts: nearly 600,000 sweepstakes entries and 41,000 new Facebook friends. Even in the crowded social-media promotion space, this program stood out; sweepstakes entries per person were double the average for the typical Facebook promotion. In other words: a very, very hot summer.